I thought I'd write a little update about what's been happening with us over the last month. It's been a little busy. Malu is continuing to enjoy her job at the dental lab. where she's doing molds and impressions...mostly of teeth, but occasionally of other people!! I'm continuing to work in the insurance industry. I've moved from working with life insurance to working with home and auto. I've also been accepted into a Master's program in Theology. I've had a desire to deepen my understanding of God's word, and as we make the eventual leap into fulltime ministry in Mexico or wherever God would lead us, I feel a higher education would be a great benefit and even a necessity as we seek to serve the best we can. Speaking of Mexico...we're over our 50% mark on our monthly support...which is awesome!! I'm taking on some part-time carpentry work outside of my regular work with the specific goal to increase support. Hanging doors and installing cabinets in an effort to get us to the goal we need to reach. 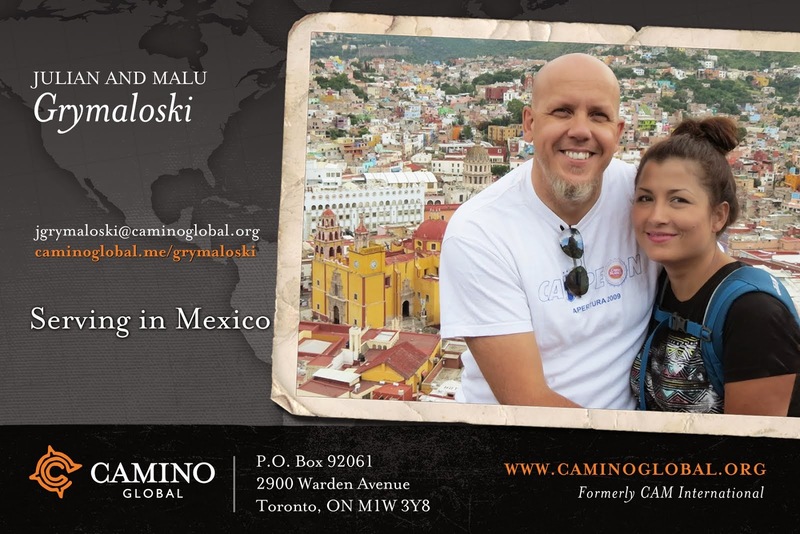 Also, I know that there are quit a few of you who have expressed a desire to participate in what God is going to do and we were hoping that you could send us an email at jgrymaloski@caminoglobal.org letting us know what the Lord has laid on your heart...partnering with us in prayer and support. We'd also like to say a very big... THANK YOU ...to all of you who have supported us this far, it means so much. We are always very blessed by people's desire to help, to help others and to be apart of what God is doing...what a privilege we have!! Just a little update as we head into Easter Weekend...what an awesome time!! Enjoy your time, be thankful for your family and friends and be blessed b/c God gave His Son for you...and this is a love above all others!! With so much love...how blessed are we? This is My commandment, that you love one another as I have loved you. No one has greater love than this, that a man lay down his life for his friends.